Our group classes are normally £12 for beginners (60 minutes) and £16 for intermediates (90 minutes) but if it’s your first class, you only pay £10 per person. 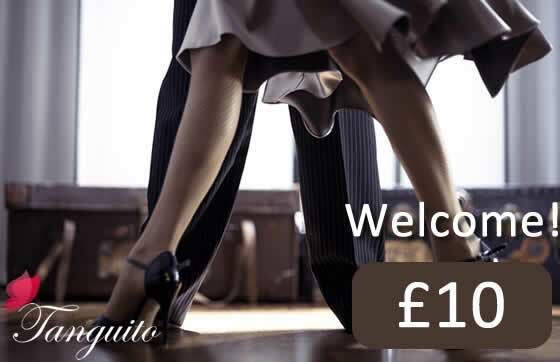 After the class, you'll have full access to our practica or milonga, so that you can practice your moves. Pre-pay now by selecting who will attend the class and clicking on “add to cart”. NB: The offer is only valid for your FIRST group class at Tanguito and is available online only, so please bring the email sent by the system after payment is complete. Make sure you add '2' in your cart if you come as a couple, as the offer is per person.